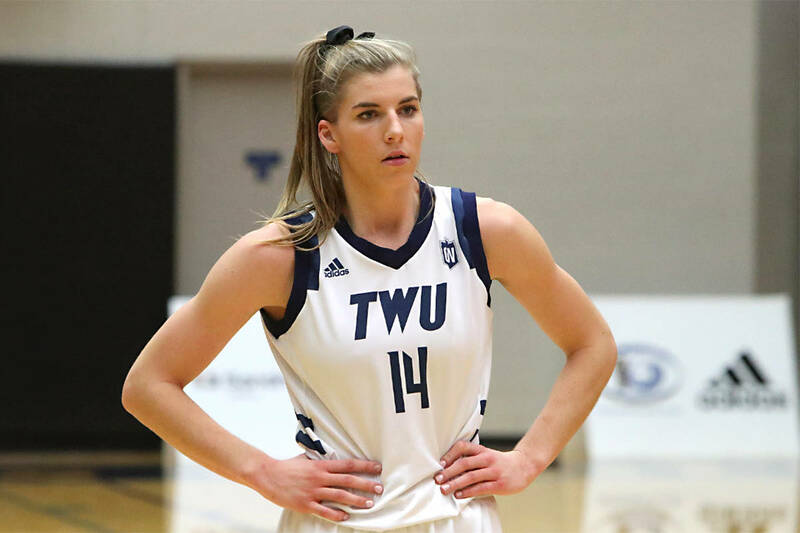 TWU Spartans forward Tessa Ratzlaff notched double digits in her final regular season game on home court. 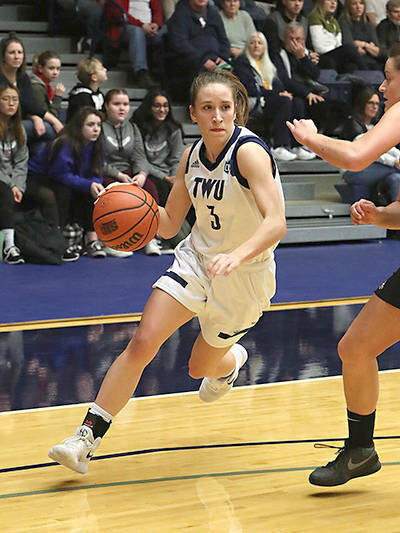 Playing in their final regular season game on home court, graduating seniors Jessie Brown, Sarah Buckingham and Tessa Ratzlaff all hit double digits in points to lead the Trinity Western women’s basketball team to a 75-57 win over Fraser Valley Saturday at the Langley Events Centre. After a slow start in the first quarter, the team came roaring back to dominate the game. “We’ve just been so tentative over the last several weeks at the start of games” said TWU head coach Cheryl Jean-Paul. Including regular season and playoffs, Ratzlaff is averaging a TWU-leading 14.4 points per game over her career. Brown is second with 13.0 points per game. Including regular season and playoffs, Ratzlaff has the TWU record for career rebounds with 660. The Spartans have now won five straight regular season games against the Cascades. 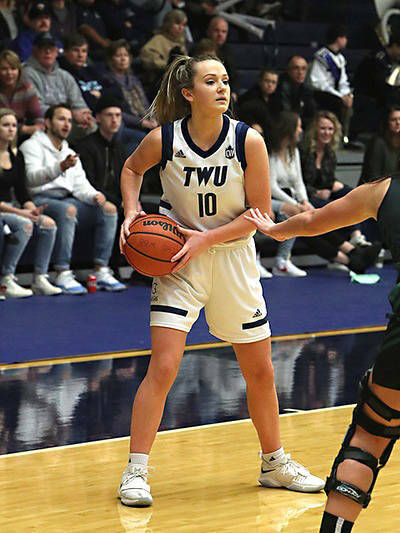 TWU will begin the playoffs Feb. 8 at the Langley Events Centre against UNBC in a single-game elimination play-in series. Tip-off will be at 7 p.m.